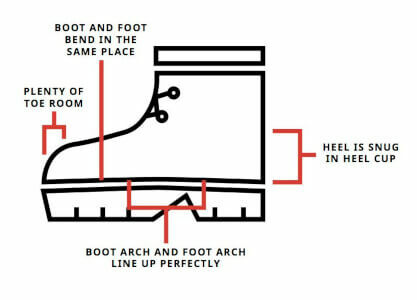 It’s important for anyone with ‘fallen arches’ to know the best work boots for flat feet in 2019. Finding the right fit means walking with less discomfort and pain. With proper footwear, those of us with flat feet can go about our lives without handicap or loss of function. 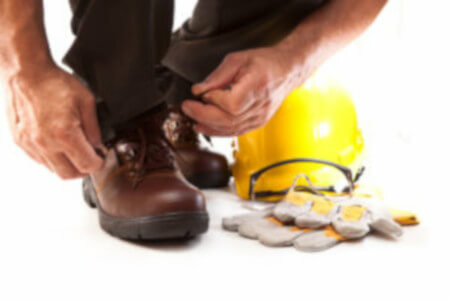 Science has made many advances in protecting flat feet – modern work boots can help your feet remain comfortable. These boots have features like molded insoles, cushioned heels, and padded ankle reinforcement. There is still the matter of finding the right pair. A new crop of boots arrives each year: it’s not easy to keep up with the changes. In this article, we will help you solve the problem of finding a good work boot for flat feet. We’ll go over important features of orthopedically sound work boots, and review a selection of the year’s best. This is a durable boot from Caterpillar protects your feet and provides ergonomic support. The steel-toe protects from walking hazards, and the Ergo System stabilizes your foot while letting it flex naturally. Caterpillar licenses the Second Shift boot through the brand Cat Footwear. Each model is made to trademark specifications of durability and strength. The boot’s supportive design benefits many with flat feet or other biomechanical issues. It contains an internal shank stabilizer to keep the middle of the boot – and your foot, stable on uneven ground. The sculpted insole and padded ankle support the entire foot. Caterpillar’s Second Shift is a rugged work boot made for tough conditions. If the molded insole fits you well, this is one of the best men’s boots for plantar fasciitis: the insole is not removable, so try it out first! The Mariner Utility Boots are popular for their comfort and styling and are among the best work boots for flat feet. 100% leather exteriors and a rubber sole provide traction and cushioning. The boot is made by Skechers, a well-known name for style and durability. It’s lighter than most boots that offer this degree of stability, which makes it great for being on your feet all day. The broad profile makes this one of the best work boots for wide flat feet. You can order an extra-wide size too. The Mariner has thick cushioning with a safety toe, reinforced seam detail, and a padded collar for comfort and stability. The lugged outer sole provides grip in varying weather and terrain. The insole is flat enough you can add an orthotic insert for extra support. Check this boot out if you are looking for arch support. It has comfort features and an insole area roomy enough to customize with your own support. This is a comfortable all-weather and terrain boot made for women. The boots are great for hiking, and have lighter cushioning than some brands. 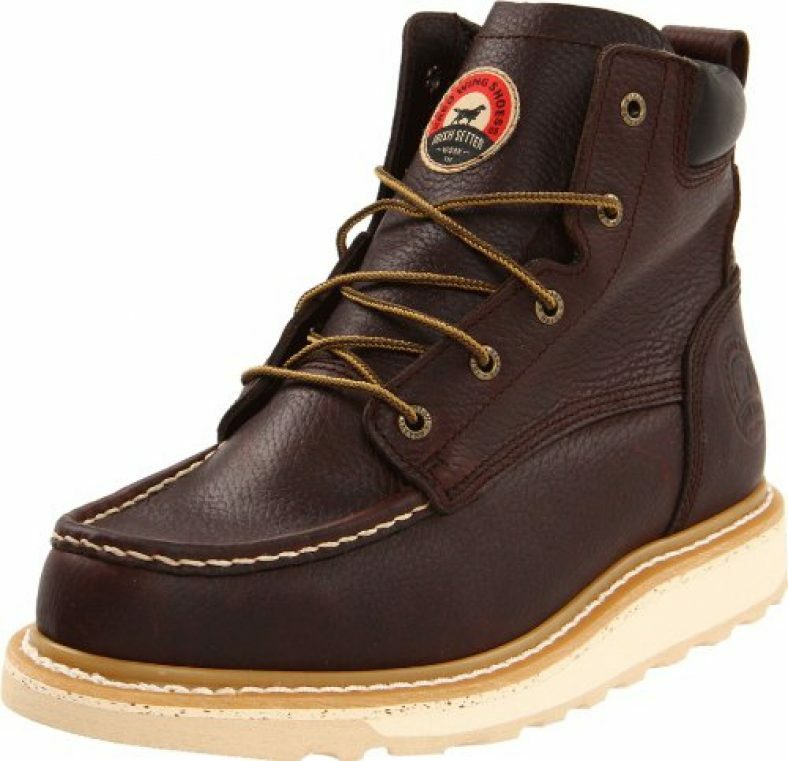 These Timberland boots have a well-known men’s counterpart, so the boot benefits from the brand’s engineering and rugged construction. The company’s signature waterproofing keeps your feet dry and comfortable. 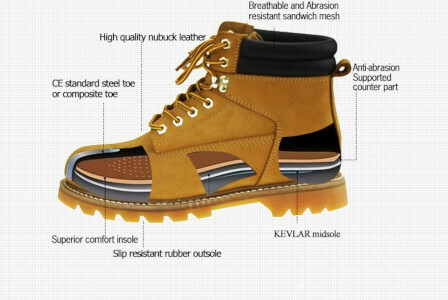 These qualities make Timberland rugged and supportive for feet. 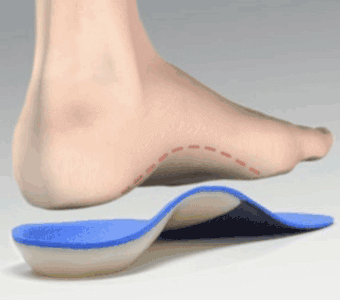 For flat feet, you’ll need to replace the insole with a support insert, which is easily done. Combined with support customization, durability, and weatherproofing, make this one of the best boots for flat feet in women’s footwear. 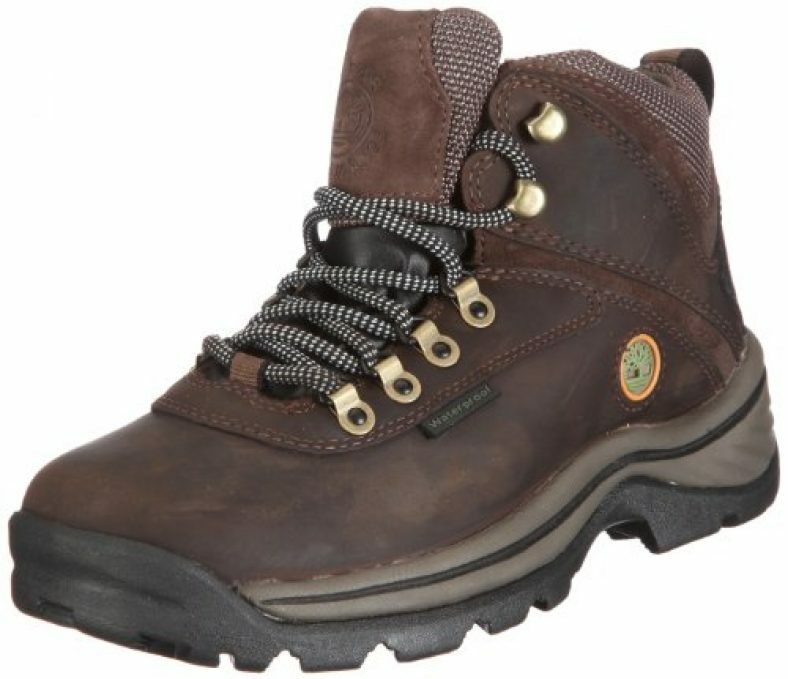 These are great weatherproof boots for hiking, providing support in all terrain. You can adjust the support for added flexibility too. Plan on using your own insert for this boot, and pay attention to the heel to make sure it fits without discomfort. 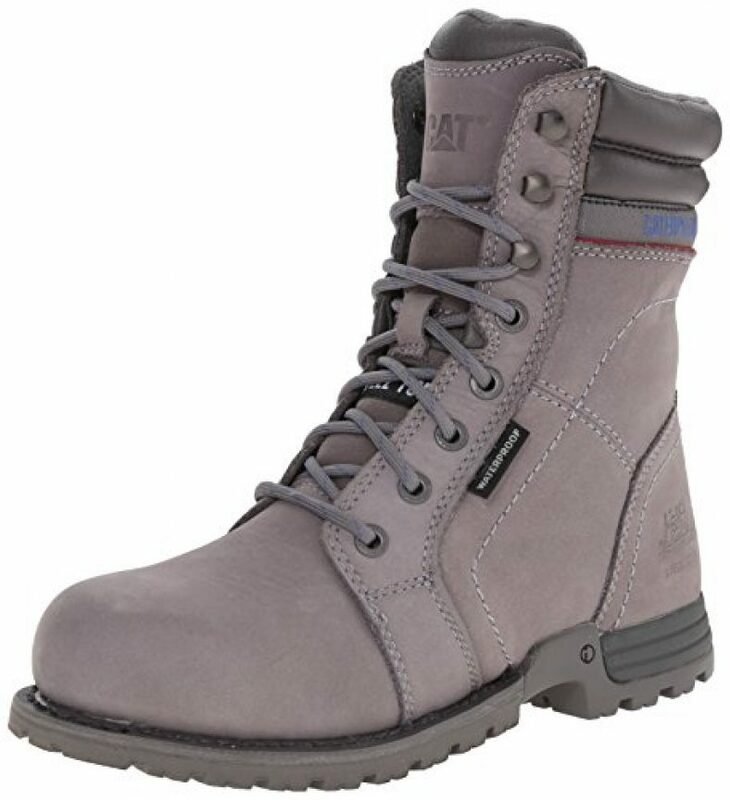 With the right insert this is one of the best women’s work boots for plantar fasciitis. Be sure to break them in before a hike with serious walking. 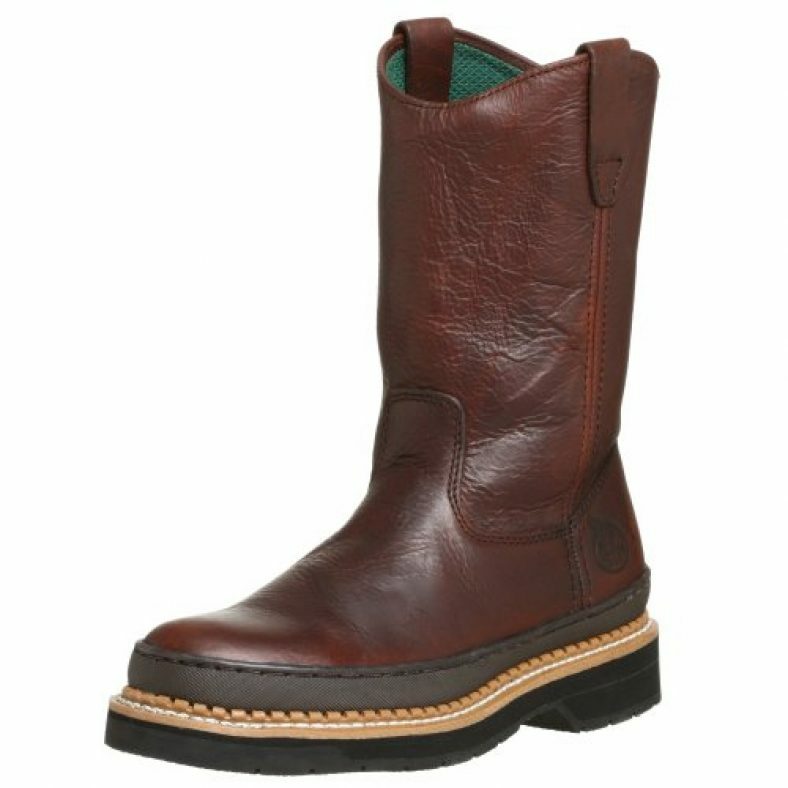 The Irish Setter offers a traditional look and rugged construction. This easy-wearing classic is one of the best boots for arch support, with plush cushioning and heel reinforcement. Made by the Red Wing Shoe Company, the Irish Setter reflects almost a century of style with durability and comfort. These tough boots have high-temperature soles to withstand heat and electrical shock. The exterior leather sheds water, too. Many people with foot issues find comfort in an Irish Setter boot: it has cushioning from the padded collar down to the molded insert and rubber sole and heel. The polyurethane insole is removable too, making this an excellent choice for flat feet. The Irish Setter is a great-looking shoe with cushion and heel support, and its removable insole allows you to put in more reinforcement as needed. They are not specifically for orthopedic use, but many people with flat feet find comfort in this classic design. These Wolverines are comfortable and attractive, with 100% leather uppers and a lugged, slip-resistant rubber sole. These are not the best work boots for plantar fasciitis without alteration, the Multishox insole can be replaced with a more supportive insert. The Men’s Raider Boot is American made by Wolverine Worldwide, which was established in 1883. The manufacturer is based in Michigan, and also has subsidiaries for Hush Puppies and Merrell shoes. The Raider is well-built and comfortable, and its rubber sole provides cushioning and flexibility for comfort on long days. It’s a lightweight boot that offers support and comfort for flat feet or high arches, and has a removable insole for orthotic inserts if needed. These are nice high arch work boots from a well-known manufacturer and they work well for flat feet too. The design provides comfortable support and has a removable insole if more support is needed. Many people with flat feet have sworn by the brand in the past. 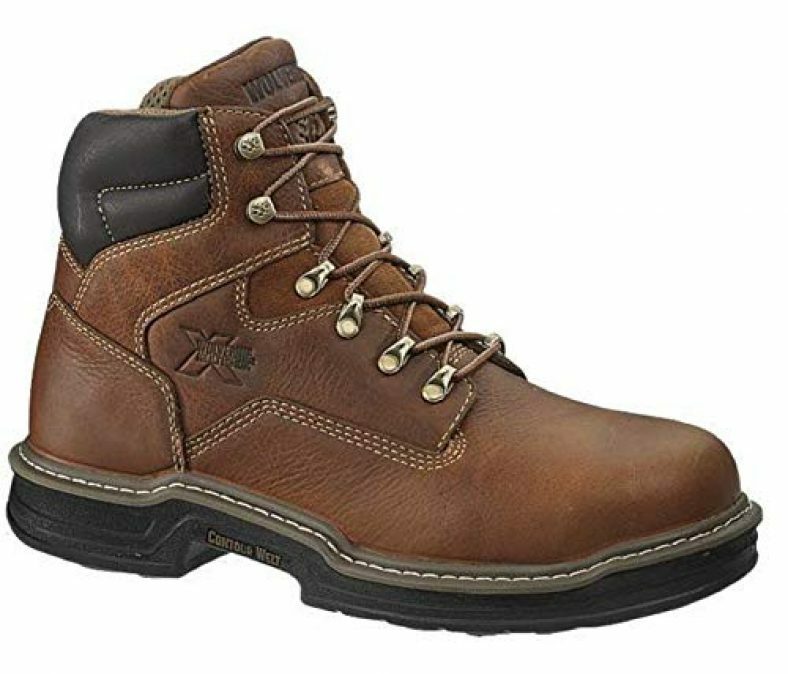 The Timberland Pit Boss Soft Toe is a tough pair of ankle high work boots that offers a degree of ergonomic foot support. The Anti-fatigue Comfort Suspension technology is specially made for cushioning, a great feature for those with flat feet. The boot’s maker, Timberland, has a reputation for good-looking, durable footwear. The Pit Boss offers ergonomic features and also comes with the manufacturer’s strong customer service record and a 1-year warranty. Cushioning is one of Timberland’s main engineering focuses, and this work boot is made for keeping you comfortable. The Pit Boss is a boot to check out if you have flat feet: it supports the ankle and heel, and is customizable with your own support insole. Attention to foot support makes the Pit Boss potentially one of the best orthopedic work boots, especially if you use an orthotic insert to replace the original insole. Those with flat feet will like the roomy toe area and reinforced heel, too. These are orthopedic work boots, steel toe construction and a proprietary ERGO comfort system included. The system provides extra stability that follows the natural movement of your foot. The inner construction is contoured for comfort and support, and has an insole of EVA foam that can be replaced as needed. The Cat footwear brand is licensed by Caterpillar, which farms out its brands to manufacturers worldwide. The Men’s Diagnostic boot is focused on ergonomics and offers special enhancements meant to increase foot support. The Cat Diagnostic model is cushioned with gel technology and ergonomic features which make it one the best arch support work boots for tough conditions. The boot is meant to support people with flat feet and other orthopedic issues, and it will also keep your feet warm and dry. 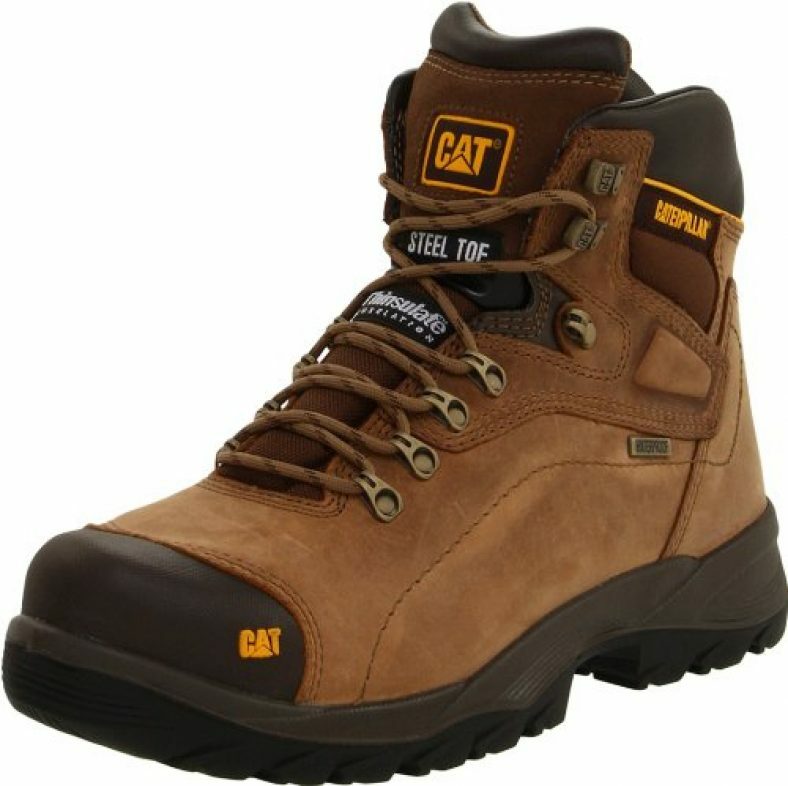 The cushioning and padded support of the Cat’s Men’s Diagnostic Steel-Toe make this one of the best work boots for over-pronation. You might not get as much durability or waterproofing as you’d like, but you will get added ergonomic comfort and a strong structure throughout. 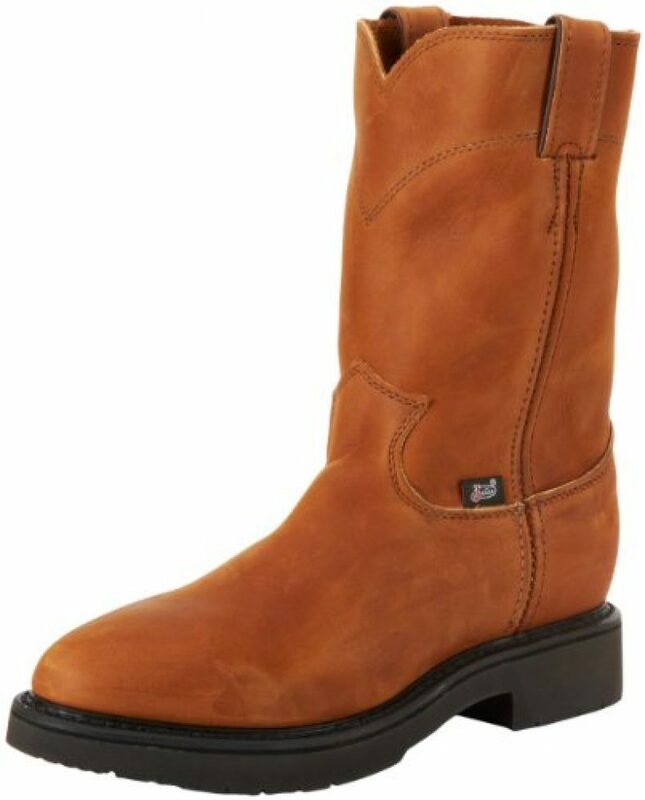 This Western-style pull-on boot is made in the USA and represents a combination of fashion and foot protection. They’re made of 100% leather with black rubber soles for traction and comfort. The boot is made by Justin Boot Company, which has been making western footwear for over 135 years. The brand continues its tradition with modern materials and an innovative FLEX Comfort System in their classic style. As work boots, these Justin originals provide protection from the elements and comfort. The 7-layer FLEX Comfort System provides a snug fit, and the tall cambrelle-lined shaft protects your lower leg and ankle in rough terrain. It’s a solid boot that holds the foot well for most with flat feet or other orthopedic issues. An authentic Western classic for over a century, style is part of the buying decision with this boot. It can crowd the toes, and the arch must match your foot’s structure, but this good-looking boot offers surprising comfort and support. 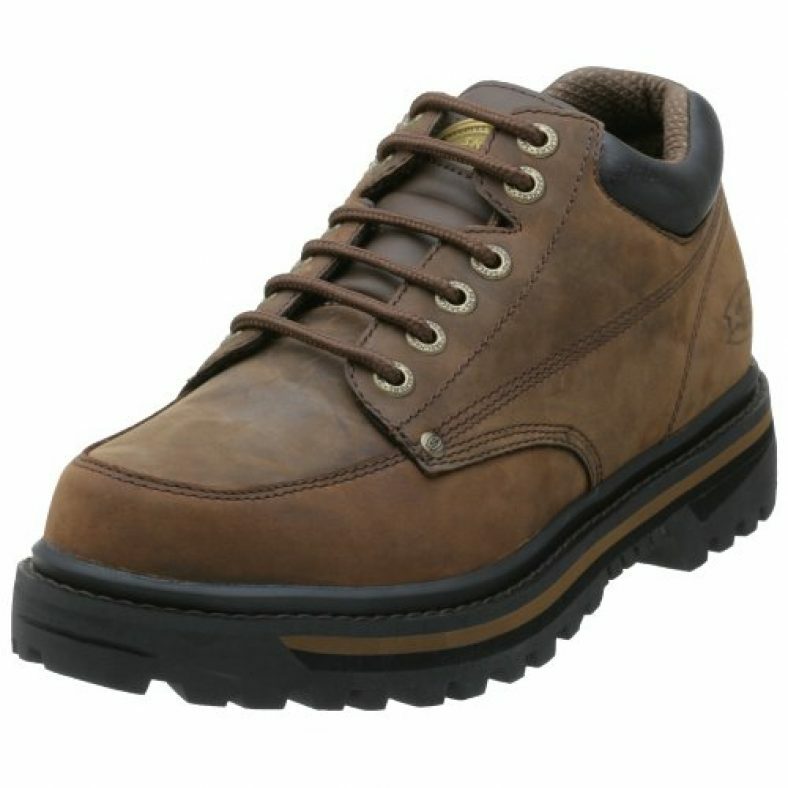 The Wolverine Buccaneer is an ankle-high, hiking/work boot that gives attention to comfort and support. The boot has a removable gel insole, and uses a Contour Welt with stitching around the arch to flex with your footsteps. The American company that makes this boot, Wolverine Worldwide, was originally formed in 1883. The manufacturer’s experience and customer focus has kept up with the times, earning the boot-maker a reputation for durable comfort and style. With its comfort and support, the Buccaneer is a good choice for those with flat feet or problems with plantar fasciitis. Multi-shock compression pads on the outsole reduce impact, and Wolverine’s Contour Welt stitching allows the boot to flex with motion. Wolverine has a reputation for comfortable, strong, work boots, and the Buccaneer is no exception. It takes a little breaking in, but the contour stitching, compression pads and a removable footbed add up to a boot that protects flat feet. With a supportive insert, this is one of the best men’s boots for plantar fasciitis. These Giant Wellington’s are rugged, pull-on work boots with heels that feel comfortable and looks good. The midsole is cushioned and the heel provides firm support. Georgia Boot is owned by Rocky Brands, Inc., based in Nelsonville, Ohio. The original company began in 1937, and specializes in moderately priced but high-quality work boots. Though made for the rugged outdoors, the Georgia Giant Wellington has features for both comfort and orthopedic needs. The quarters are notched for flexibility when walking, the midsole is cushioned, and the firm heel and ankle support help relieve problems associated with heel spurs or flat feet. This is an individualized choice: some experience a great fit with the Wellington, others won’t. You need to try this boot before buying: not only for your foot’s comfort but to make sure your calves can fit! This is a lightweight, attractive women’s boot with excellent durability and comfort features. The steel-toed Echo is an all-terrain, waterproof boot with an unusually slim, tall profile. The Echo is part of the Cat Footwear line, is licensed by Caterpillar Industries and produced as a durable and comfortable work boot. The company offers a free 7 day return policy, and the boots come with a 6 month warranty against defects. This is a good light women’s boots for flat feet, with cushioning and ankle support for protection against over-pronation and stress. You can swap out the removable insole for greater arch support, which makes this an attractive women’s boots for flat feet. The Women’s Echo Boot offers both lightweight comfort and protection from the elements. Besides the ergonomic features, this is stylish footwear and probably the only heavy-duty orthopedic work boot that comes in purple (Marlin). Buyer’s Guide - How to Choose Work Shoes for Flat Feet? Picking the right footwear is doubly important if you have flat feet. 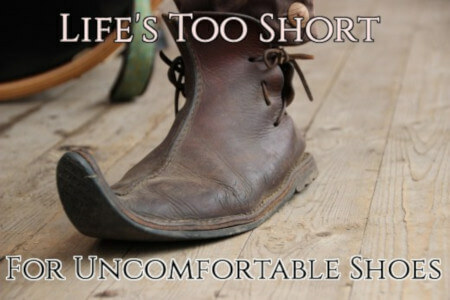 Normal boots can leave you in needless discomfort and cause further problems. To help, we’ve done the research to help you find suitable work boots with good support for your feet. The following is a list of the most important features to pay attention to when selecting your new favorite pair. One of the most important factors in choosing good boots for flat feet is durable construction. Poorly made footwear can worsen your condition in some cases, so take care with your selection. Properly made shoes have cushioning in the heel, and will bend in places that need flexibility. The sole should be firm and stable. Shoes that lose their shape also lose support, producing misalignment and breakdown in the structure. You might not notice changes right away, but your feet will. It’s critical your footwear be well-built and designed to last. 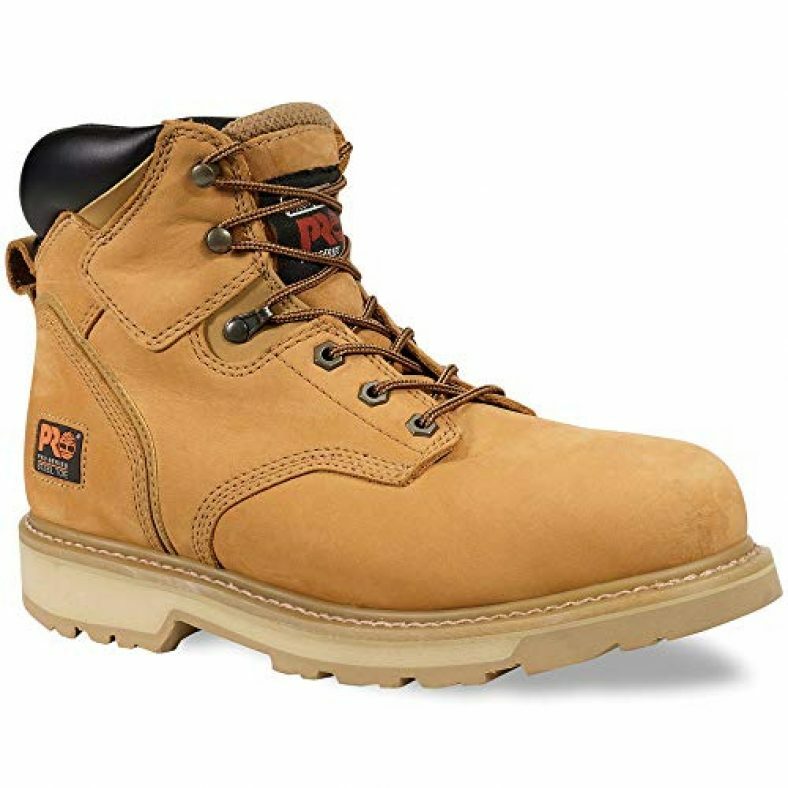 Many durable work boots have a leather exterior and a reinforced shaft. The leather is often water-resistant or even 100% waterproof. Quality manufacturing will not leave dips or mismatched stitching. You’ll be happier on second shift if you make sure the inner sole is cushioned. Most comfortable boots have rubber soles that are strong yet flexible enough for walking. A nylon mesh liner is a popular feature that helps keep your feet dry. Look for a removable footpad, so you can insert your choice orthotic support. Proper inserts can alleviate flat feet and other foot issues. The object of supportive footwear is to bring comfort to our feet. A comfortable foot is a forgotten one and there are a lot of options to help meet our goal. Many work boots have padding and molded footpads, but one size doesn’t fit all. Every foot is different: a strong support structure becomes a trap if it doesn’t fit correctly. Listen to recommendations, but remember your feet are unique. Generally, you want cushioning on work boot heels and strong ankle support. You will want a molded insole that fits, or a removable sole that can be replaced. Reinforcing the foot’s natural arch supports normal movement and alignment, and helps distribute your weight in a natural way. Arch support is critical to helping flat feet stay healthy. Try out any boots that have prominent arch support, and make sure the insole matches your foot’s natural arch. The best work boot for flat-footed people will have some lift in the heel. A flat, level heel doesn’t provide much support, so you want a mid-sized rise. Hiking boots often have added height which helps flat feet. You want a stable, firm heel. Most boots for flat feet hold your foot in position without becoming inflexible. Orthopedics aside, often the shape or padding of a certain style provides support, as with a Western style or a Wellington boot. The sole and its support system is key. There are orthopedic designs that provide arch and heel support, such as contour welts for flexibility or foam composites for insoles. Rubber sole work boots offer a stable cushion with a tough exterior. Thicker soles usually provide more cushion, just make sure the boot isn’t too heavy for you. Lacing is more important than you might think. A slip-on boot is convenient, but it lacks the support laces give. Laces offer a customized, snug fit and are easily adjusted. Arch support is more effective with proper lacing, too. What are the best hiking boots for flat feet? The Wolverine Men’s Buccaneer is a great boot for hiking if you’re worried about your flat feet without giving up performance or looks. You need durability and comfort in a hiking boot: the Buccaneer has 100% leather exterior for rugged use, and Flexible Contour Welt stitching to keep the boot flexible. Multi-shock compression pads on the sole reduce impact, and a mesh liner keeps your feet dry and comfortable. For women, another option for flat feet is the Timberland White Ledge Mid Ankle Boot. This is a tough but light weatherproof boot—but you will likely need an orthotic insert for greater support if you suffer from flat feel. What are the best work boots for plantar fasciitis? Many people swear by the classic Irish Setter Boot for problems with plantar fasciitis and other foot strain issues. The boot has a firm structure with a comfortable padded collar and a molded polyurethane insert over a rubber sole and you can swap in your own insert support as needed. Wolverine is another top boot brand that has a successful orthopedic focus. 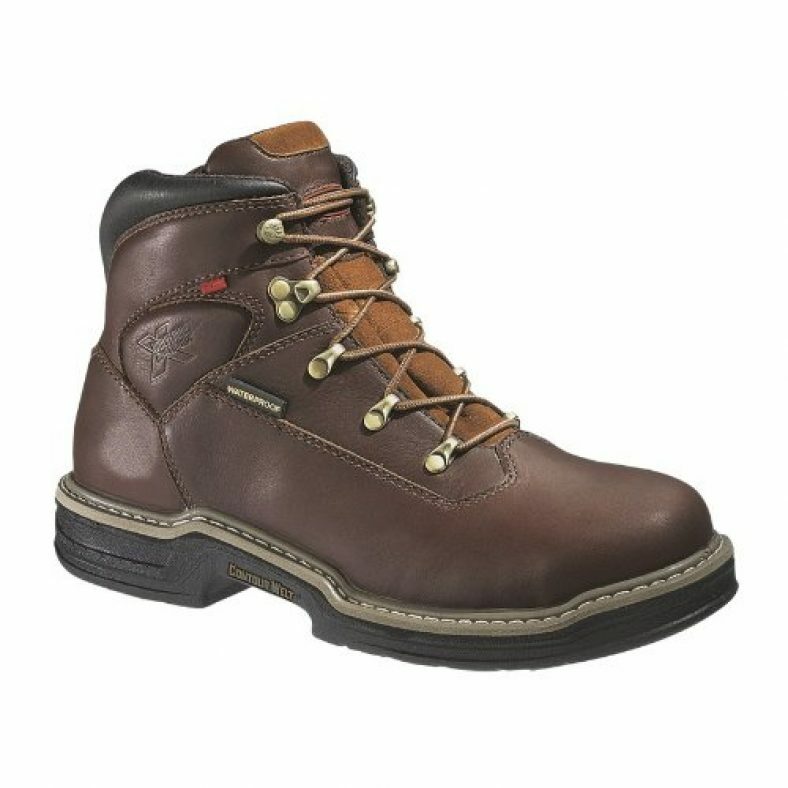 Their popular Wolverine Raider Boot is also considered one of the best work boots for plantar fasciitis. Our selection of the best work boots for flat feet runs from light and stylish to heavy and rugged. Old standbys like Giant Wellingtons or the famous Irish Setters are longtime favorites for good reasons of durability and comfort in style, and they offer good arch and ankle support too. 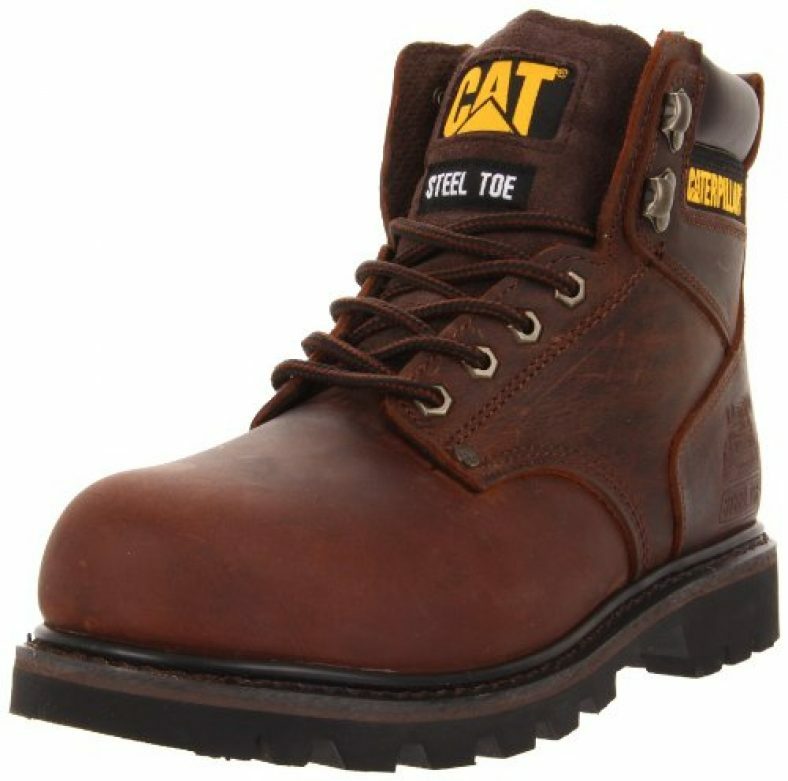 The Cat Second Shift Steel-Toe boot is recommended as a popular model that has been around for years. The attractive boot’s flexible Ergo System and internal shank reinforcement stabilizes your foot while letting it flex naturally. If the sculpted insole fits your arch, this can be one of the best boots for over-pronation, flat feet, and even plantar fasciitis. Another special mention is the Timberland Women’s White Ledge Mid Ankle Boot. Focused on comfort and style, this boot is ready for dinner or a hike, and can be easily customized with your own support inserts. Check out the other boots in our selection. You can find a boot that protects your feet and helps them work all day without pain. They deserve that much, and so do you. Also, recommend you to read reviews about shoes for standing all day.